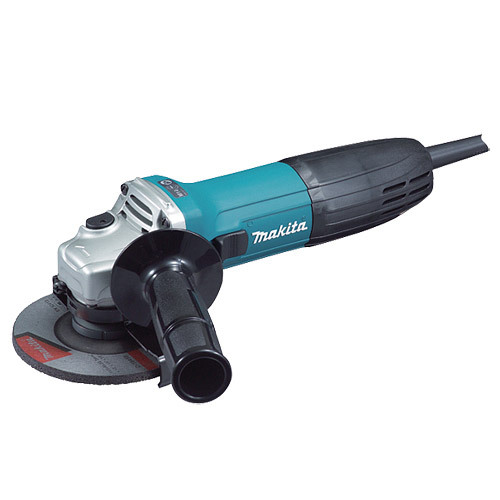 Small diameter angle grinder with ergonomically best possible barrel grip. Regardless of whether you grip the motor housing or rear cover, the extra-ergonomic barrel grip fits your palm and fingers perfectly, providing easy and comfortable handling while minimizing hand fatigue and pain. • Small gear housing for easy handling and maneuverability. • Powerful 720W motor with excellent heat-resistance. • Ergonomic 20 degree side grip angle.